We’re days away from unveiling a one-year installation in downtown Macon. Really, we could count down to the Artist Party in a matter of hours. So here’s what’s going on, and why we’re so excited. 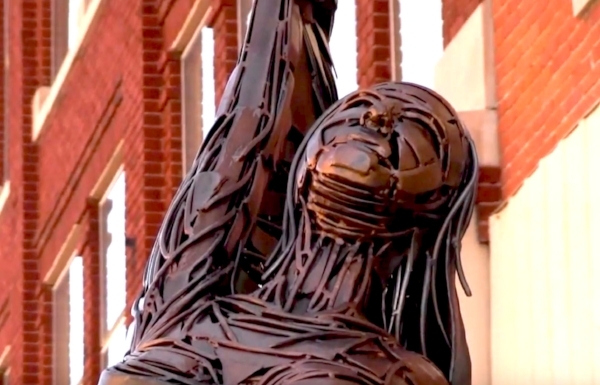 Of the several incredible entries submitted to Macon Sculpture Walk, four have been selected to be displayed over the next year. (For you fellow art lovers, these sculptures will be available for purchase.) They will be located at Mulberry & Second, Third & Cherry, Poplar & Third, and Turpin Park. Join us Thursday, November 29 at 6p, at Travis Jean Emporium for our Artist Party where you can meet the artists and get a sneak peak of the sculptures before they’re installed. Come party with the artists on November 29 at Travis Jean Emporium. The artists were juried against their peers from Georgia and across the U.S. Let us say, there were some incredible sculptures submitted for display. And now… the artists! Greg Mendez, Alex Mendez, and Nathan Pierce have been selected to display their artwork in downtown Macon. Greg was raised in the rural town of Decatur, IN. He studied at the University of St. Francis School of Creative Arts in Ft. Wayne, IN graduating with a B.F.A. in sculpture. Greg’s sculptures have been included in many juried public displays throughout the United States, and he has been the recipient of numerous awards. Alex was raised in Decatur, IN. (Yes, Greg and Alex are brothers.) His love of music influences his artwork today. Alex studied music at Indiana University-Purdue University Fort Wayne. When he’s not in the workshop creating art, you can most likely find him with his guitar. Son of a stone-mason, Nathan’s father taught him the value of craftmanship. The abstract contemporary forms of Nathan Pierce's public art installations are softly rooted in the notion of technology and communication, and the role that it plays in everyday life. His sculptures, no matter the surrounding landscape, offer a counterpoint to the viewers perception of place and time. You can meet the artists, and get a sneak-peak of the sculptures before they’re displayed on November 29 at Travis Jean Emporium. We are excited to announce the four locations to the inaugural Macon Sculpture Walk. Here we go! One of the corridors into downtown Macon, auto and pedestrian traffic frequently pass by Mulberry and Second street. 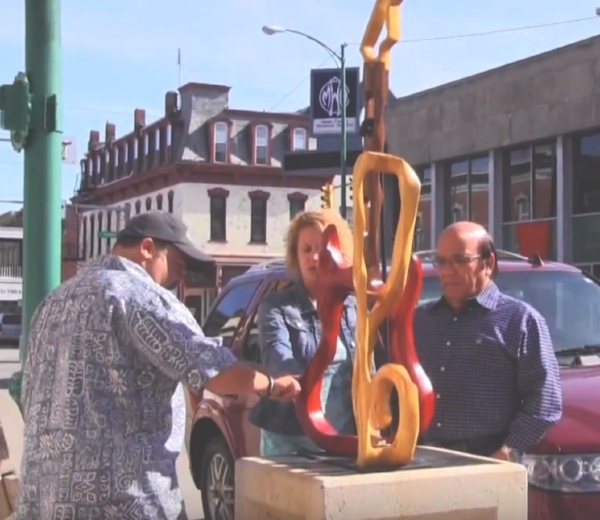 This location is rich with history, art, entertainment, and more which is why we chose it as the first location to unveil a sculpture. Cherry Street is such a happening place. In fact, this is where we frequently run into those we know as we’re passing through downtown. This is why we chose it as the second location to unveil a sculpture as we pursue our goal of making art accessible to all. 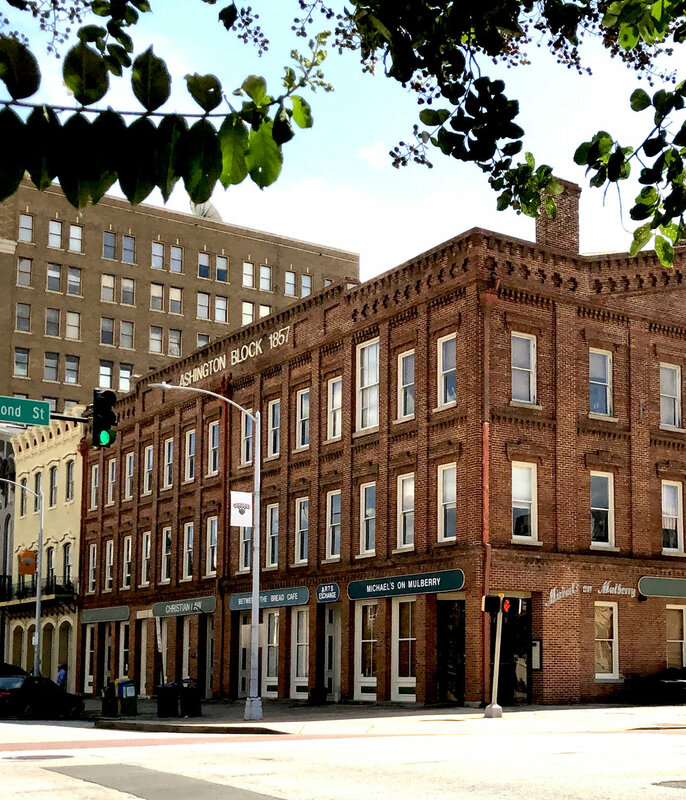 When we think of development and growth in downtown Macon, we often think of Poplar St. (Then we think about one of our favorite nearby coffee shops.) This is why Poplar and Third is our third location to unveil a sculpture. From one side of downtown, to another, the inaugural event will conclude at Turpin Park. The fourth sculpture will be unveiled under these green canopies. Later this week we’re announcing a few events, and we can’t wait to share those with y’all. As Macon Sculpture Walk continues to grow, there is the possibility of including more locations in the years to come. From the Otis Redding statue in the Charles H Jones Gateway Park to the bears at Tattnall Square, we have our eyes set on walk-able locations throughout our downtown community. One of the things we love about downtown Macon is how connected it makes us feel. If you are a regular (and we hope y'all are) then chances are you'll run into someone you know when walking around. 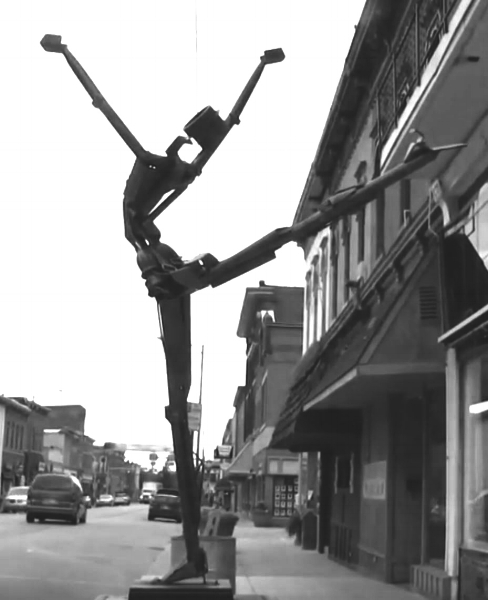 Macon Sculpture Walk is our love note to downtown. Our goal is to help make art accessible to all. To help connect us a little more. And maybe create a little inspiration along the way. All of this would not be possible if it were not for the help of many. But please allow us to give our thanks to the generous support from The Downtown Challenge Grant of Central Georgia and the Downtown Macon Community Association.